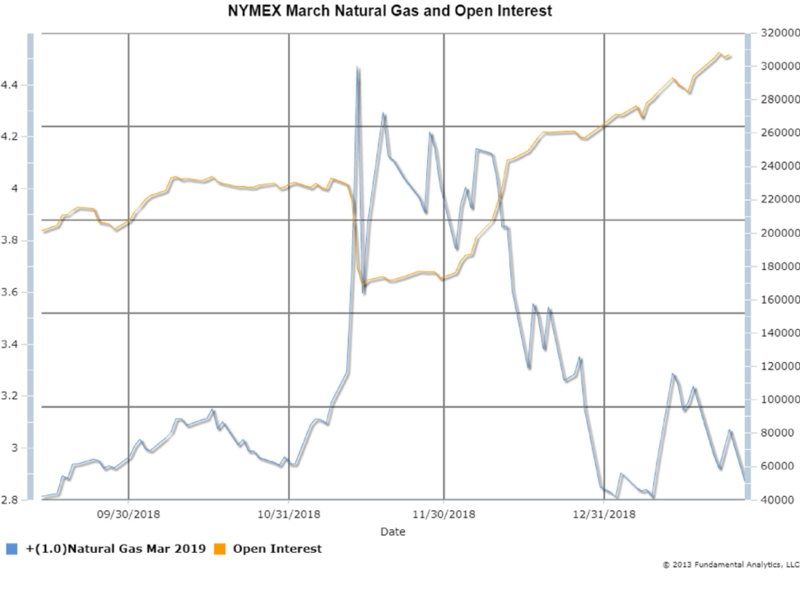 Chart 1 below plots the March Natural Gas contract (blue line, measured by the left axis) and March Natural Gas contract open interest (orange line, measured by the right axis). Since mid-December prices have dropped from $4.00 to $2.87, 28%, as of Monday’s settle. During the same time period March Open Interest increased from 216,000 contracts to 307,000 contracts, a 42% increase. As a general rule, when open interest grows as prices are falling this is an indication of new shorts in the market. Last weekend a new extended forecast predicted milder winter in early February. Despite the severe cold weather this week in much of the US, the market gapped down on Monday in response to the longer term forecast. Being short natural gas in mid-winter can be a risky position, especially with the relatively low natural gas shortage level. In mid-November prices had an explosive up move when cold weather forecasts were released. Those holding short positions in winter are more sensitive to upside risks and will quickly cover if prices turn. A new cold weather forecast in the next days or weeks is likely to create dramatic price up moves from a short covering rally given the high price volatility in natural gas.